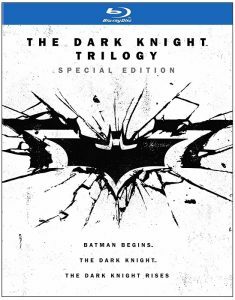 Christopher Nolan’s award-winning “The Dark Knight Trilogy” includes Batman Begins (2005),The Dark Knight (2008), and The Dark Knight Rises (2012). Christian Bale, Michael Caine, Gary Oldman, Morgan Freeman, and Cillian Murphy appear in all three movies. Head on over here to get this set on Blu-ray for just $15.99!